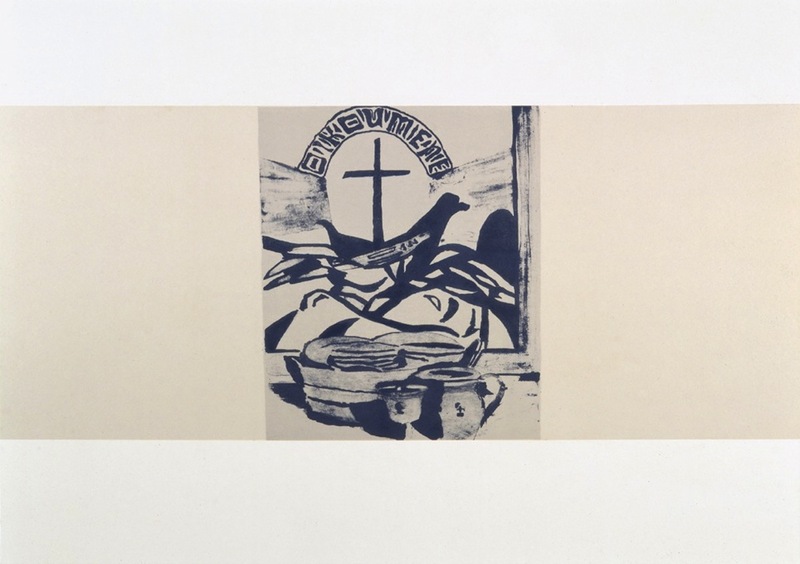 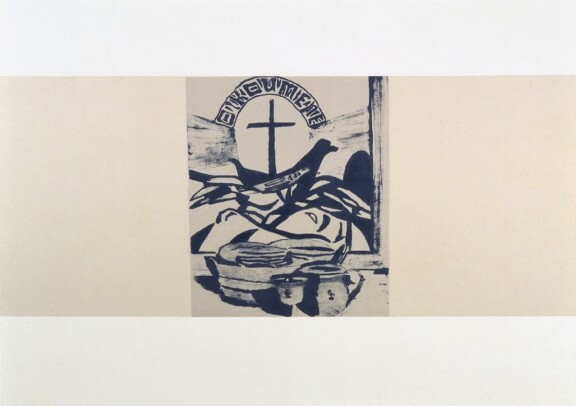 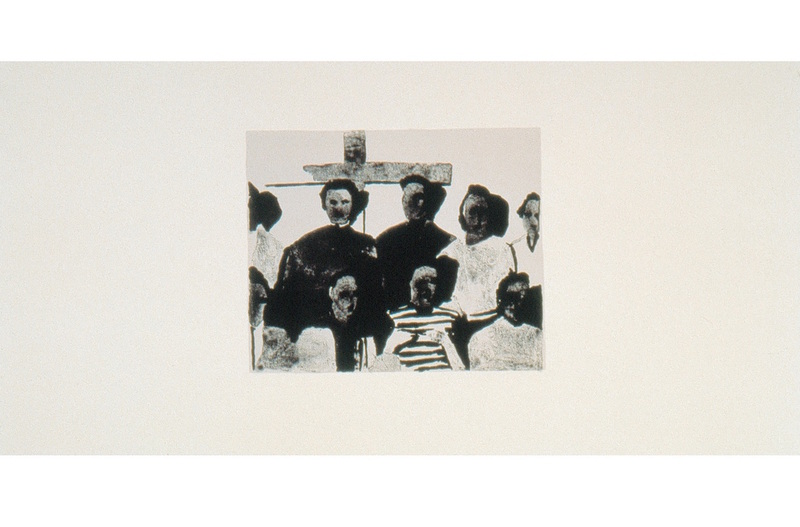 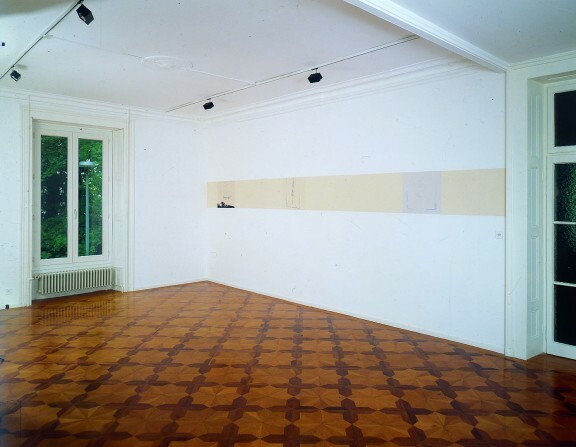 Luc Tuymans, Le Verdict, 11 colour lithographs, printed on 7 strips of blotting paper, 50 × 590 cm, 50 × 569 cm, 50 × 506 cm, 50 × 210 cm, 50 × 195 cm and 50 × 200 cm, edition of 8 plus 2 A.P. and 2 H.C., numbered, signed and dated. 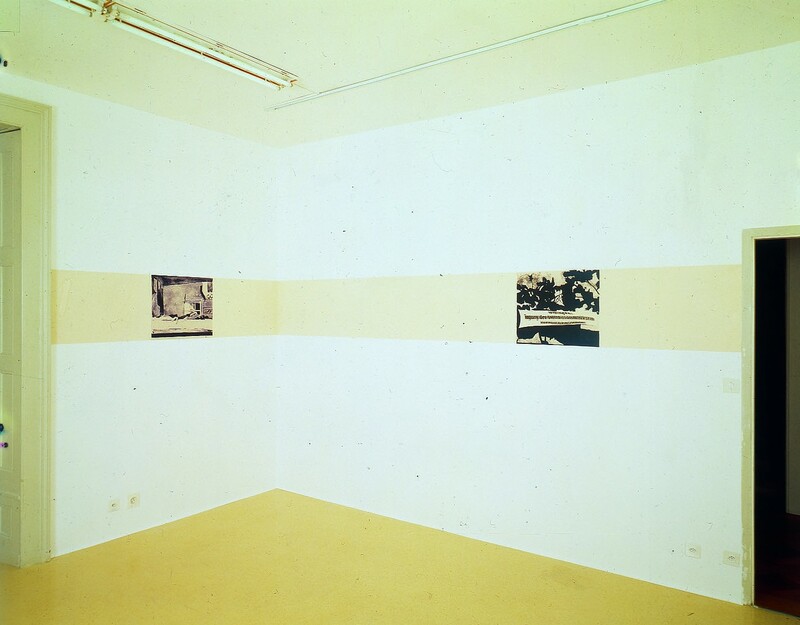 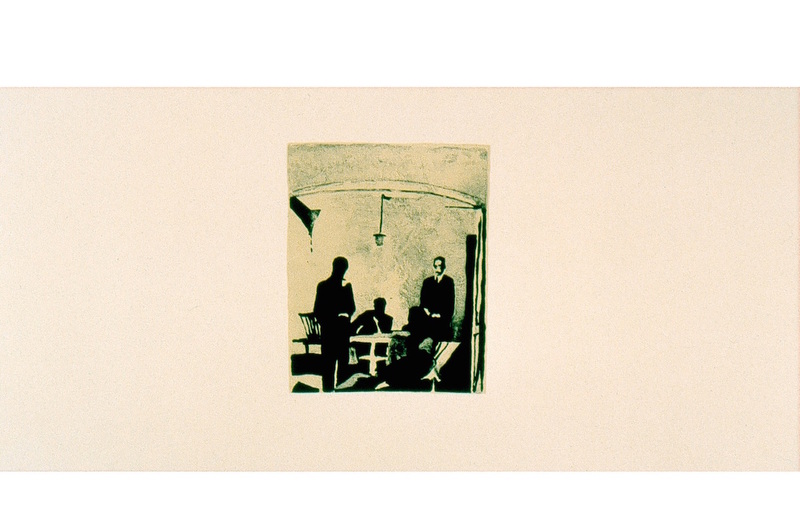 Edition of the Centre genevois de gravure contemporaine, Geneva, 1995. Strip No 1: Strip with 3 lithographs, 50 × 569 cm. Strip No 2: Strip with 2 lithographs, 50 × 590 cm. 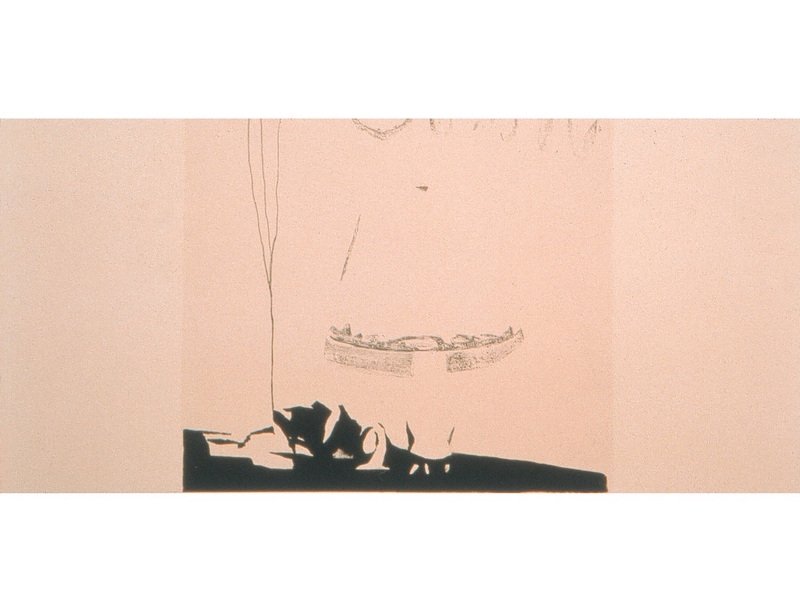 Strip No 3: Strip with 2 lithographs, 50 × 506 cm. 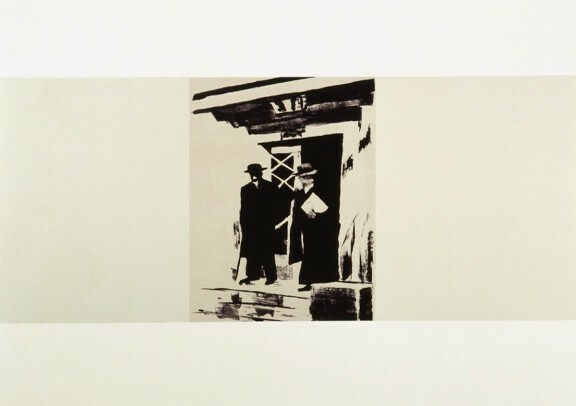 Strip No 4: Strip with 1 lithograph, 50 × 380 cm. 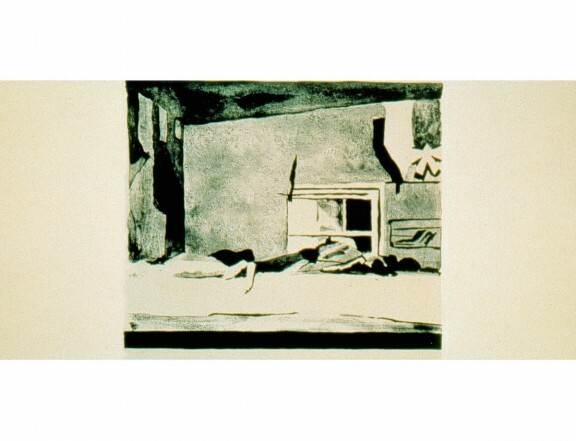 Strip No 5: Strip with 1 lithograph, 50 × 210 cm. 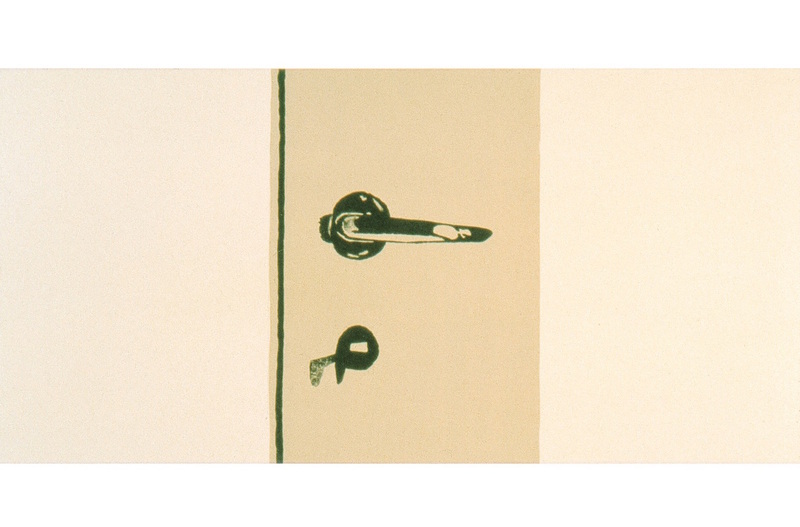 Strip No 6: Strip with 1 lithograph, 50 × 195 cm. 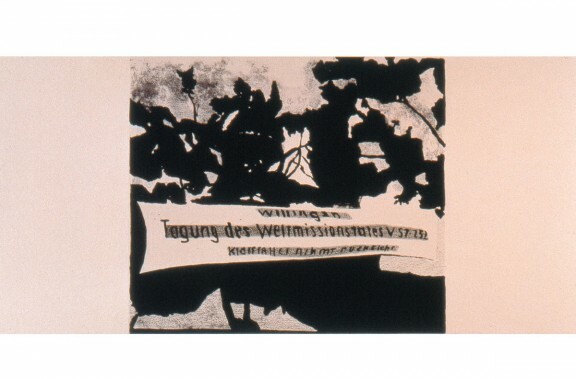 Strip No 7: Strip with 1 lithograph, 50 × 200 cm.